Do something different for your weekend lunch with the family and serve something exotic but easy to pull off at home. Originating from Morocco, tagine is a stew-type dish with poultry, meat, or seafood plus vegetables and fruit. Slow-cooked in traditional cookware with the same name, tagines are as rich and hearty as Western-style stews but are cooked with much less liquid. The domed lid traps steam and sends the moisture back to the pot, ensuring that food is cooked to tender perfection. 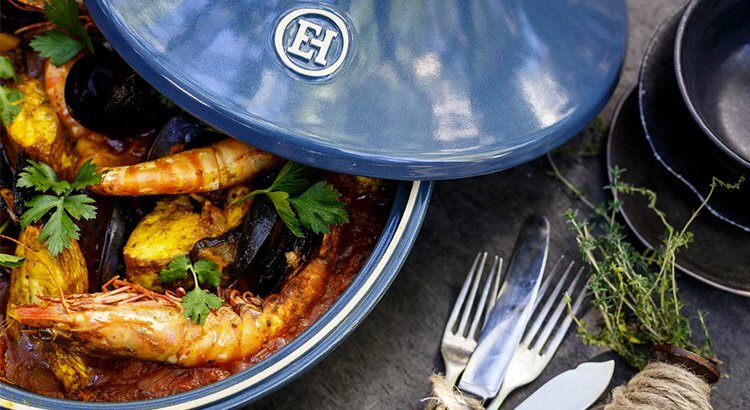 Serve this mouthwatering seafood and eggplant tagine with a couscous salad to complete your Sunday feast. 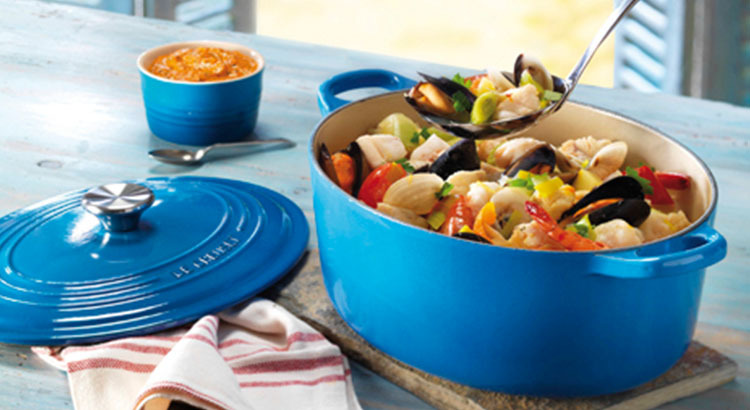 The experts in Paella cookware are also the best source for paella recipes. 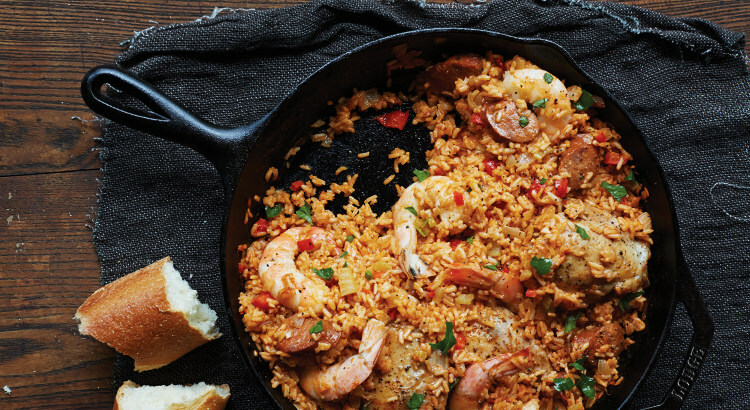 This Spanish dish brings the family together every Sunday in Spain, and is referred to as Arroz or ‘rice’. 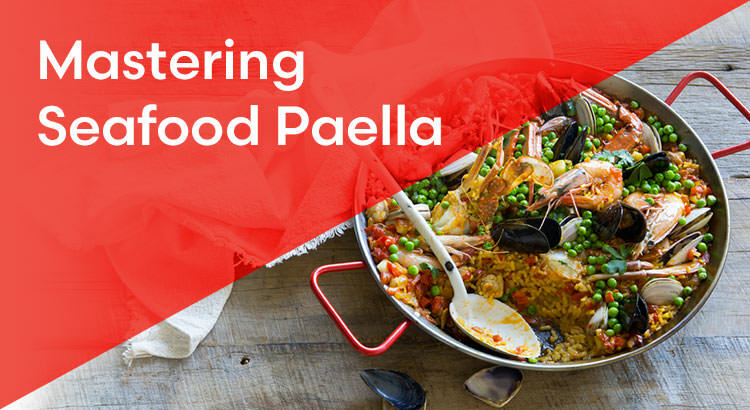 Combining the intense flavours of aromatics and seafood with tasty stock fully absorbed into the rice, Paella is a popular dish around the world. A traditional dish from spain, often mis-pronounced but both valid. 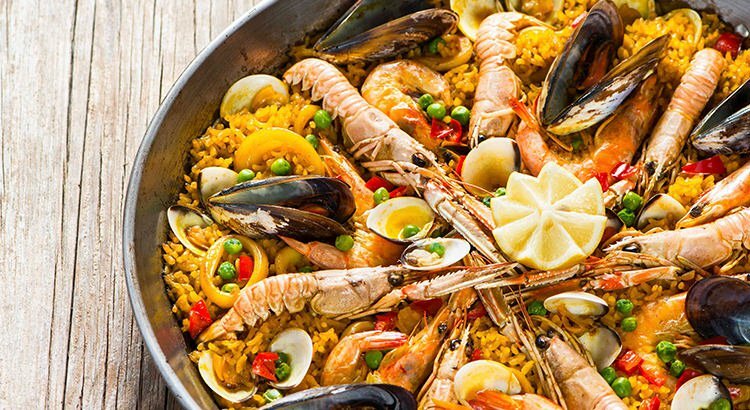 Paella (pie-ey-a) has many widely recognized variations but all adhere to consistent guidelines. Try these 5 tips from authentic Spanish Chef Gualterio Fernandez of Paella Fiesta in his specialty recipe. These soup-like shellfish stews occur all around the Mediterranean coastline. 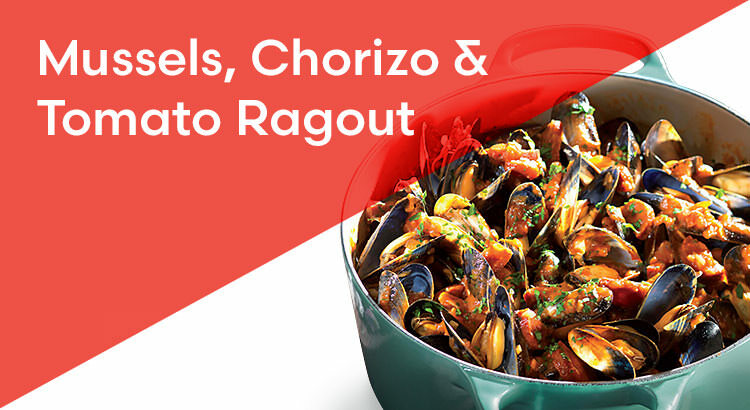 Smokey chorizo and spicy chilli’s enhance the sweet flavouring of the mussels. 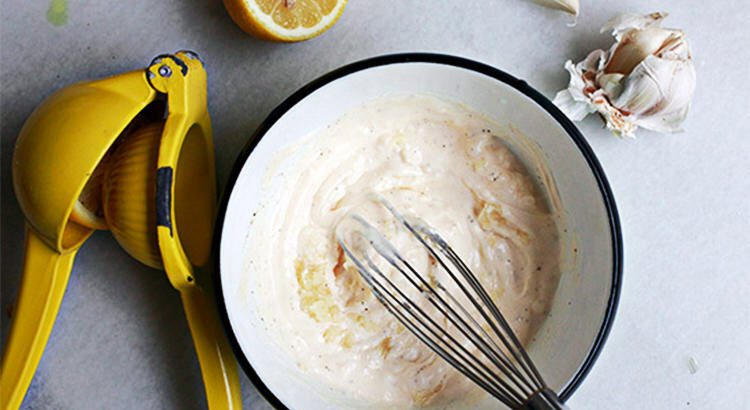 Serve with deliciously crusty bread. Bouillabaisse is a hearty, rich seafood soup made using different kinds of fish and shellfish, cooked in a delicious broth of vegetables, garlic, tomatoes, flavoured with saffron. Originally from the city of Marseille in France, this age-old dish was traditionally made with the “catch of the day” and less marketable kinds of small, bony fish. Back then, bouillabaisse would be served in two parts: the broth with bread and a spicy garlic sauce called rouille, then the fish. Now, bouillabaisse is eaten as a whole, making it something between a soup and a stew. 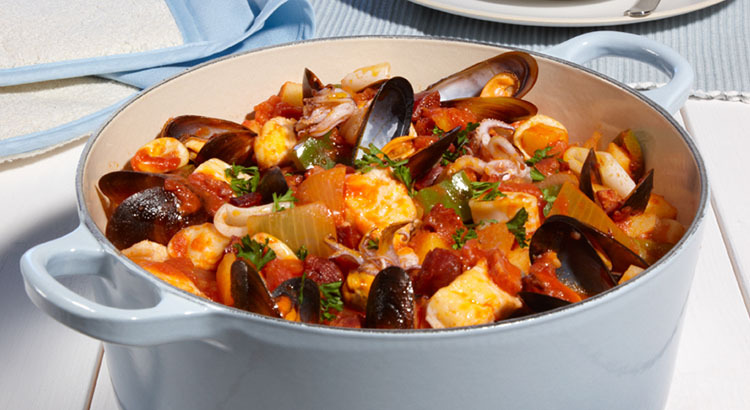 More commonly referred to in Italy as cioppino, the seafood stew can serve as a great comfort food during the cold months and as a luscious dinner to look forward to during the week. For this variation, we’re looking into using white fish, mussels, prawns and Italian tomatoes as the protagonists of the dish – although you can feel free to change the proteins and herbs as you please. 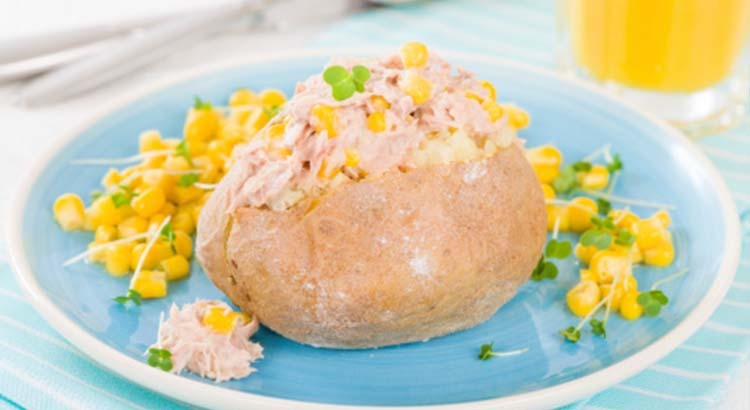 Get the most of this hearty meal by following the simple recipe below, fit to challenge budding chefs and put the skills of the more experienced to the test. Whether you’re thinking of adding a light touch to your summer BBQ or whipping up a quick dinner for the family, you can never go wrong with a simple – but justifiably sumptuous – prawn salad. This prawn, mango and avocado salad recipe has seen a multitude of variations, from the choice of prawns (some even use other seafood, like crab meat or crayfish) to the line-up of fruits and herbs.